Made his debut with CSK VVS Samara, Higher League (Russia) during the 2003-04 season, also playing with the main team in the Superleague A. Signed for the 2006-07 season by BC Khimki Moscow 2nd Team, Superleague B. Played there also the 2007-08 season, also playing with Lobnya Moscow region, Higher League. Signed for the 2008-09 season by Universitet Yugra Surgut. 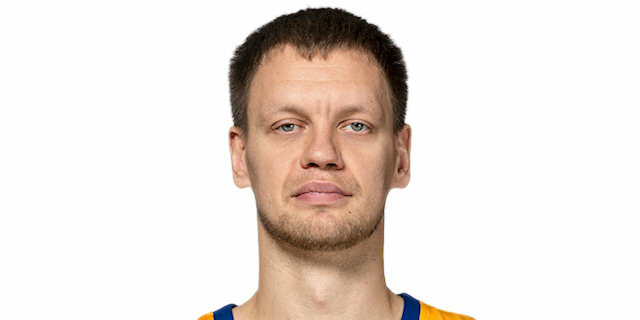 Signed for the 2009-10 season by BC Khimki Moscow region. Signed for the 2012-13 season by Enisey Krasnoyarsk. Signed for the 2014-15 season by Unics Kazan. Signed for the 2016-17 season by Nizhny Novgorod. Signed for the 2018-19 season by BC Khimki Moscow region. Won the 2005 Euroleague Basketball Adidas Next Generation Tournament with CSKA Moscow. Played at the 2005 European U1-8 Championship. Played at the 2006 and 2007 European U-20 Championships. Won the bronze medal at the 2011 World University Games.